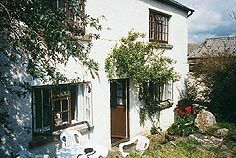 2 Bedroom, 1 Bathroom Cottage in Kingsbridge location in Devon, England. Activities on offer nearby include: golfing, close by there is an abundance of unspoilt Heritage Coastline beaches and coves which are perfect for bathing, paddling, fishing, windsurfing and sailing. For those who enjoy walking there are some fine cliff top walks along the National Trust Coasta.